Are you considering new siding? Chapman Windows Doors & Siding is pleased to bring you quality vinyl siding from the CertainTeed company. 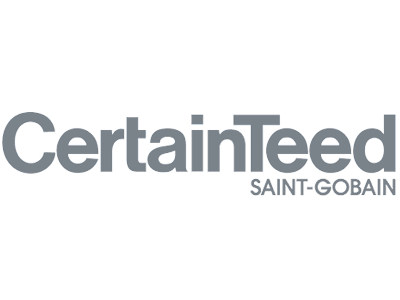 Founded in 1904 as General Roofing Manufacturing, CertainTeed is now part of Saint Gobain, one of the largest building products companies in the world. 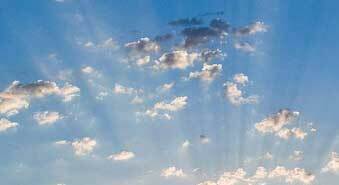 The CertainTeed name comes from the company's original slogan: Quality Made Certain, Satisfaction Guaranteed. 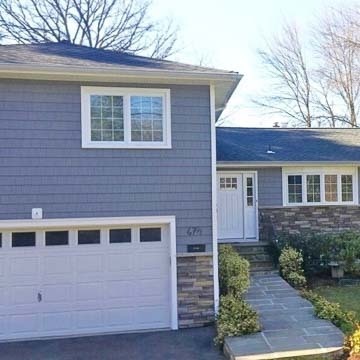 As one of the largest vinyl siding manufacturers in the industry, CertainTeed has continued to meet the demands of that motto. CertainTeed's Malvern, Pennsylvania headquarters is constructed from Saint Gobain components – giving CertainTeed constant feedback about how well their product works in real life. Offering durable, maintenance-free, high-performing siding options, CertainTeed may have just what you are looking for. Modern vinyl siding is not the same product you have seen on buildings from earlier days! 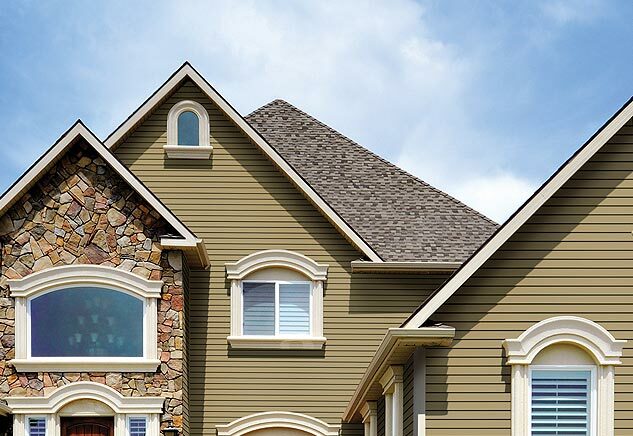 Shake and Shingle Siding – Cedar Impressions® polymer siding looks like traditional cedar. It is available in Sawmill finish, Cedar grain, and Wood grain. Nine styles are available, with over 40 color choices including blended color for the look of stained cedar. CedarboardsTM insulated vinyl siding is available in regular or extra long (XL) board or as board and batten siding. This siding is backed by rigid foam insulation, and can be specified with Dutch lap or Clapboard in five profiles. CedarboardsTM is the number one rated brand of insulated siding and a National Green Building StandardTM approved product. CedarboardsTM offers 23 color choices. Horizontal siding includes CedarboardsTM insulated siding in regular or XL board, Monogram® vinyl siding in regular and XL board with 40 color options and Restoration ClassicTM custom-formulated PVC siding with Clapboard and Dutch lap profiles in 28 low-gloss colors with coordinating trim. 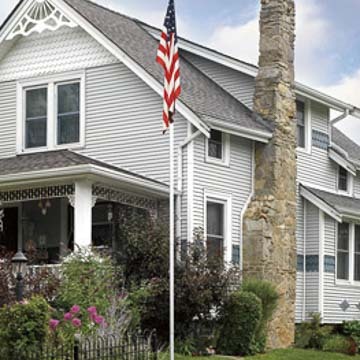 Carolina BeadedTM vinyl siding provides exceptional detail for a farmhouse style. Northwoods® .050 inch thickness vinyl siding has straight-edge or staggered rough-split shakes that look like milled cedar shingles. MaintstreetTM .042 inch thick vinyl boards includes natural wood grain or a brushed, beaded finish in Dutch lap or Clapboard profiles. Wolverine American LegendTM wood grain siding at .042 inches thick or EncoreTM wood grain at .040 inches thick offer economy with style. Chamfer BoardTM is a .044 inch thick panel that has been designed for use as vertical siding, perforated as a soffit, or as a porch ceiling. 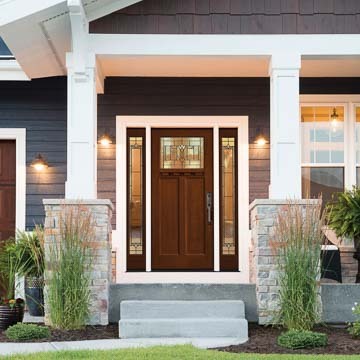 Complementary products to add the finishing touches to your exterior include soffits, window and door surrounds, functional trim and carpentry accents that are color-toned to work with CertainTeed siding hues. You can mix and match styles to create your own look – product styles and colors blend well with each other, and CertainTeed's exclusive PermaColor TM color technology assures true colors that resist fading. 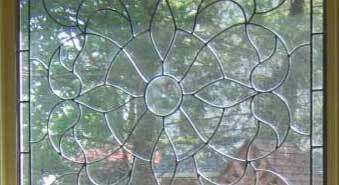 Some products are created with an exclusive polymer capstock that allows darker colors not usually found in vinyl siding. Board molds are based on natural cedar to achieve an authentic appearance. Accessories and trim work are thoughtfully designed to be functional yet highlight the visual appeal of CertainTeed siding. The siding includes features such as molded perimeter locks and weep holes that make installation easy and extend performance. Perhaps even better, CertainTeed's American-made products have one of the best fire ratings in the vinyl siding market and provide a limited lifetime warranty. 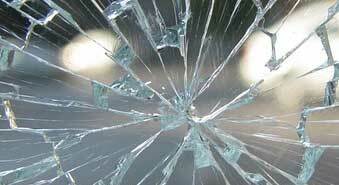 And, CertainTeed is a socially conscious company that believes in investing in the community. In vinyl siding, choosing the right product and installing it correctly are crucial. 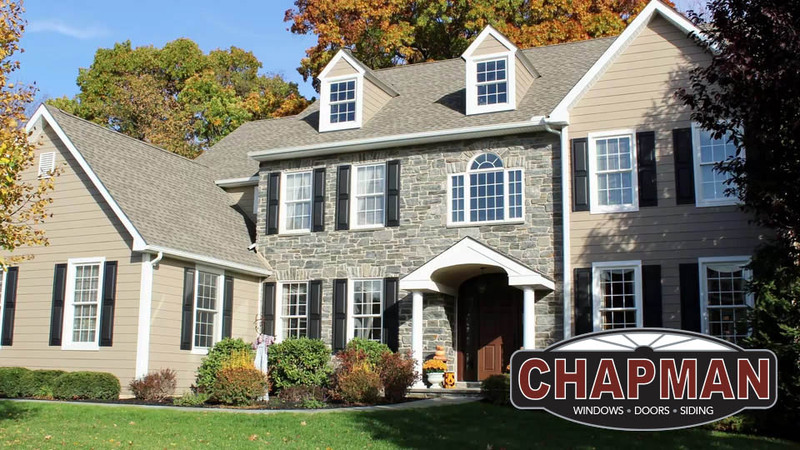 Chapman Windows Doors & Siding has qualified consultants ready to help you find your siding, and we are experts at installing CertainTeed siding! Please stop by or make an appointment to learn more.